← Our Dream Trip to Nauvoo Came True! I am blogging about our trip to Nauvoo, Illinois before I forget all about it. I wrote in my journal every day during the trip but I was too tired every night to write down all the details. Last night I took my two college kids to see Cinderella, the live action movie. This was my fourth time, and their first. (Can you tell that I love that movie?) The movie has a line in there about Cinderella going home after the ball and writing everything down, as if she were telling her mother and father all about it, so that she doesn’t forget anything, especially about the prince. That’s how I feel about our trip to Nauvoo. I felt the Spirit and felt the hand of God getting us there and back. I want myself, my children and my posterity to remember this trip forever, so I am documenting it. I will always love thinking about this trip! Our trip started as a gleam in my eye many years ago. When I was a kid my family took lots of road trips, especially because we lived in New York state for 18 months. I remember with fondness going to see church and national historic sites, like Hill Cumorah, the Sacred Grove, Lexington and Concord greens, Joseph Smith’s birthplace, the Mayflower, and Plymouth Plantation. I have wanted to give the same experience to my kids. So a few years ago I dreamed up a huge road trip in an RV to go to all these places, plus more. Every summer I hoped that it would happen, and summers came and went. Then my firstborn went on a mission, and I hoped we could go the summer after he came back, which was this current summer. I figured with two kids in college, if we didn’t go this summer, we might have two big kids married or gone away to some internship, a mission for my daughter, or other pursuits next year. Plus my third-born might be on his mission next year as well, as he turns 18 in the coming school year. This is a picture from my friend/3rd cousin’s daughter’s blog about the mega-amazing summer road trip they took last year to celebrate a family road trip her dad took 50 years ago in the blue van in the corner. My fun former LLL co-leader/girlfriend who turned into my long lost third cousin went on my dream road trip last summer, seeing all those sites I just mentioned, plus more. I think she covered everything I would want to see, including Sally Fallon’s farm, except the Duggar estate in Arkansas! I have drooled about her trip, especially since her daughter blogged about it, but I had to come to reality. We did not have six weeks like she did to see all those sites. We did not have the money to pay for lodging or an RV to see all those sites. My husband’s mother offered to pay for the gas for the trip, if she could come with us, but I don’t think she was expecting a gas bill in the thousands! I knew we needed to be more modest for the time being. We’ve had financial difficulties “threatening our peace to destroy.” So that made me trim the road trip down. I had saved some money so I just declared that that certain amount of money could certainly take us just to Nauvoo and back. With Grammi paying for the gas, me paying for the lodging, and not eating out, just buying the food from a grocery store that we would buy if we were home, and eating it in the car or motel room. we would swing it! My husband caught my excitement and made a Google spreadsheet with an itinerary. He planned all of the pit stops, being exactly 2 hours apart, where we could switch drivers. Since we have three kids who can drive now, plus my husband and me, that made 5 drivers. (We excused Grammi from driving so she could relax, eat, sleep, and tell family history stories along the way.) He also made the reservations at the motels and contacted his two siblings in Colorado asking if we could stay at each of their places one night (one for the trip to Nauvoo, one for the way home). He found the Nauvoo Family Inn, which two of my friends recommended. (I recommend it as well, it was nice to have three bedrooms for our family of 10 plus a kitchen for a low price.) True to his old school, map-loving form, he ordered a grundle of maps from AAA for us to peruse and pack. My R.M. son ended up being a digital navigator, true to his new school form, but I was still hugely grateful that my husband packed the paper maps. He also checked out a boatload of books on CD for the trip. Needless to say, we didn’t listen to all of them, just The Goose Girl and Johnny Tremain. I noticed that he had planned for us to take 2 days to drive to Nauvoo, leaving on a Monday, and arriving late Tuesday night. I asked that we spread it out into 3 days and leave on a Sunday, so that we weren’t arriving at midnight in Nauvoo on Tuesday, after stopping to get food at a Walmart in Iowa late that night. There are no big grocery stores in Nauvoo and we would be packing just enough food to get there, so it was important we go shopping either right before we arrived or the next morning. So we had a family council and put it to a vote to all the kids. I used all of my persuasive powers and convinced a majority to vote for my side. Hooray! One of my older sons was concerned that we wouldn’t be keeping the Sabbath Day holy on Sunday by traveling. I explained that we would actually be much more likely to keep the Sabbath holy by being all together, listening to church music and church talks on CD as we traveled, and that we would still go to church in another ward before we left. When we are at home the little kids want to play outside and ride bikes. So I was very pleased that I got my wish. We packed somewhat the night before, then got up at 5 AM so we could pack the car, and leave at 8:45 for the 9 AM sacrament meeting in our church building. Then I would let the kids change into traveling clothes at the church, and we would leave the church to go up to Morgan and into Wyoming on I-84. We’ve had lots of road trips where we leave hours after we plan to, with some family members being grumpy, but this time we actually left only about 5 to 10 minutes late and got to the church before it started. Success! Yes! We were off to a great start! It’s always fun to visit other wards and hear the speakers. The couple who spoke in our neighboring ward’s sacrament meeting talked about marriage. The husband shared the story of how they got engaged. He said that he had been home only 1 week from his mission. He saw his future wife and knew she was the one. She was visiting from New Zealand and would go home soon. I think he said that they had dated once or twice when he proposed marriage to her, before she went home. He didn’t have money to buy her a ring so he went to the ZCMI department store and asked if they had anything he could use for a ring. They gave him a rubber band, so he made that into a ring and proposed to her. Later he fashioned a ring for her out of copper tubing, but when that turned her finger green, his father took pity and paid for a proper engagement ring. Anyway, they have been married for 27 years, I think he said, and are such a cute couple. They both spoke of how hard marriage can be, but that it is so rewarding. The husband referred to two of President Boyd K. Packer’s talks. One was Marriage, the other was the Plan of Happiness. He combined the two titles into a new title, which is a perfect summary of Pres. Packer’s life theme: “Marriage: the Plan of Happiness.” I thought that was beautiful and very true. That sacrament meeting was an awesome way for us to kick off our trip! We left after sacrament meeting and by the afternoon we were zooming through Wyoming. We listened to the following CDs in the van to keep the Sabbath Day holy. 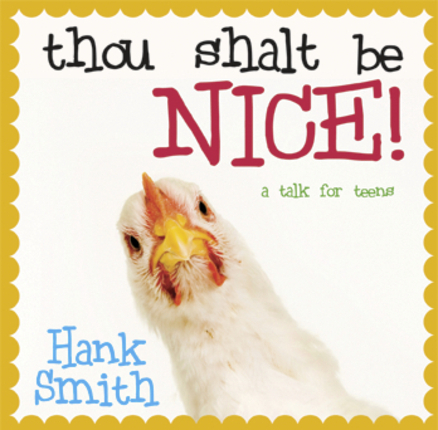 I highly recommend Hank Smith’s CDs. Hank is a speaker for LDS youth. He is funny and definitely brings the Spirit in with his stories and testimony. The story about helping a girl to find her thrown-away retainer in the garbage dumps of the Wilkinson Center during EFY was priceless. (You can buy his CDs here.) He also talked about the importance of being kind, especially reaching out to those who don’t seem to have any friends. These songs about the Proclamation on the Family are just delightful. 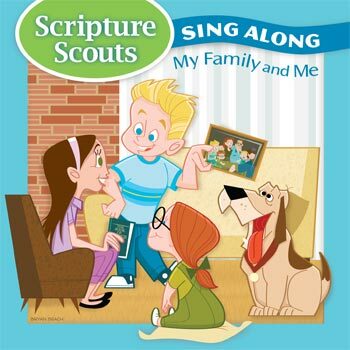 There’s one song in there about “On the Road” which is about a family being “on the road to happiness.” As we drove through the beautiful Wyoming plains with the bright sunshine, with this bouncy song playing, on our way to Nauvoo, my heart was bursting with joy! We also started reading aloud the following book. I read this to my four older kids when they were little at bedtime, sitting in the hallway, while they were in bed. It’s about a family who goes to Nauvoo for a summer and discovers a mystery. 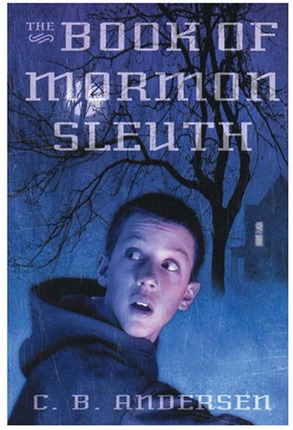 It’s great for getting kids interested in LDS Church history. I had my 17 year old son read the book aloud in the car because he enjoys dramatizing voices. We didn’t finish it on the trip so now I am reading it at home. We drove through Wyoming, and dipped down into Colorado to see our cousins who live in Denver (and benefit from a free night of lodging). They had some yummy tortilla soup and corn chips waiting (at least it smelled yummy to me, mmmm, with cilantro in the air; sadly I couldn’t eat any because I am on a special grain-free diet). Our 13 year old cousin also baked cookies for the kids. So I caught a picture of my kids with their Colorado cousins and cookies. Fun!